Philemon G. Roberts, MDiv, DMin resides in Lakeland, Florida and has been intimately associated with the faith-based movement as a pastor and denominational leader. He served with the United States Air Force during the Korean War and then began his quest for higher education earning degrees at Lee College, Florida Southern College, Emory University (Candler School of Theology), and Luther Rice Seminary (DMin). Phil was selected as an Outstanding Man in Religion and served in the unique capacity as Chaplain for the Tampa Showman?s Association. Dr. Roberts served twelve years on the Board of Trustees of Lee University and was a founding member of the Board of Regents of Oxford Graduate School serving that institution for twenty-five (25) years. His interest in higher education and a keen sense of Biblical Theology has produced quality written and spoken material. 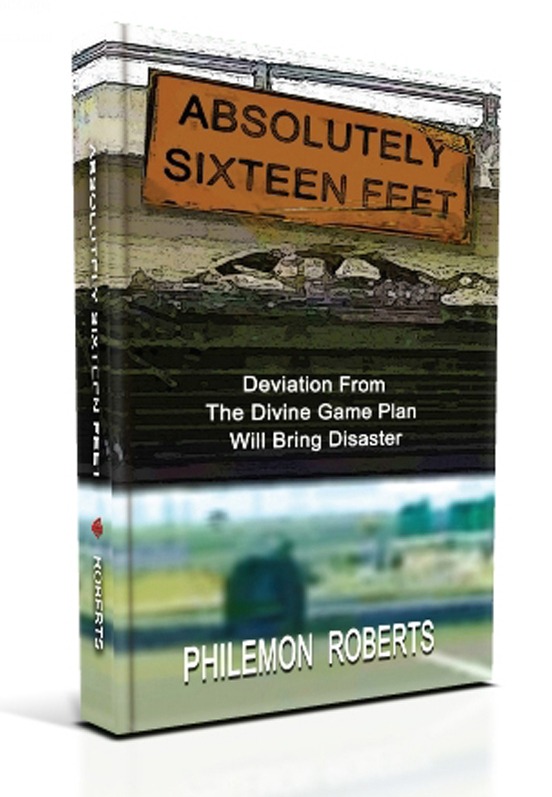 Absolutely Sixteen Feet is a collection of twelve (12) of his sermons. ?